2 or more only $16.00 each! 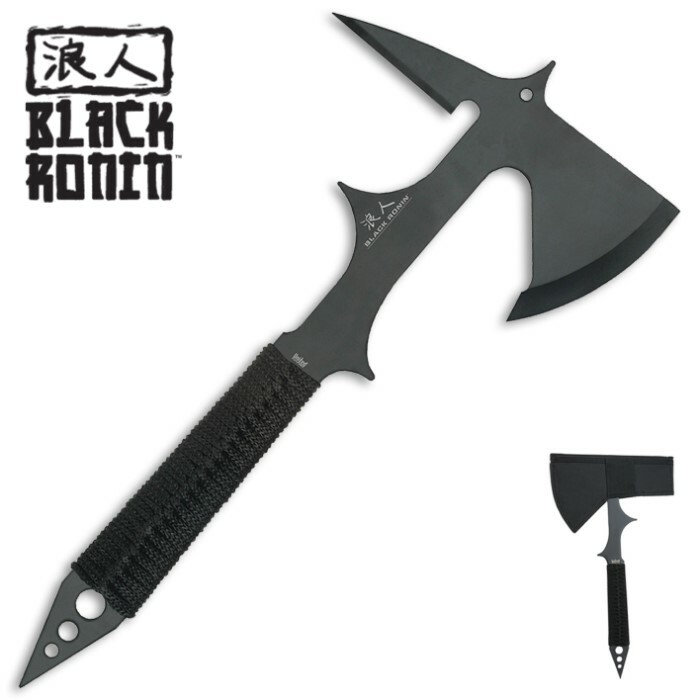 The Black Ronin Tactical Tomahawk axe features a tempered 420 stainless steel, one-piece full tang construction, black non-glare finish with black nylon cord wrapping grip. i ordered two hawks and the bogo blankets. both products good quality & the tomahawks have a good look and balance. have yet to throw them, this weekend is test day!. so far, everything i've ordered from budk has been good stuff and came pretty quick. I had mine for over a year and a half and still possesses the same integrity and strength as day one. My only recommendations is that you grind off the top spike (it tends to poke through the sheath and hurt like a sunofagun) aswell as fitting another handle on it as the paracord is not very comfy. Beside that, I just sharpened the spike and it still is good to this day! Awesome thrower! Spike was blunt but nothing an angle grinder couldn't fix. Paracord came undone after first throw but, again, nothing that can't be fixed. Just re-wrap. Sheath is mediocre, keeps you from cutting yourself. All in all though, it's fun and well worth the money. I've had mine for over a year now and as much throwing as I have done with it, it held up perfectly! Aside from the string around it coming off (Which with other knives being tossed near it and hitting it is to be expected) it hasn't so much as had a bend or break on it. Although for me I modified mine a little on the pick park with a grinder insuring it to stick even better. Thought if I gave it a few hard tosses it might snap but even then, nothing! So if you want a great deal rest assure this Axe is worth every dollar and cheap for it's great quality, thanks Budk! My friend got one of these and after throwing it for a bit I knew I had to get one of my own. It throws very well and feels sturdy. This also works great for chopping up branches and probably taking down small trees. Lot of fun and a great tool. Got one! I'll give it to the dead guy when I say, "But Officer, he attacked me with a hatchet!" United Cuttery is good, but buy a better model. 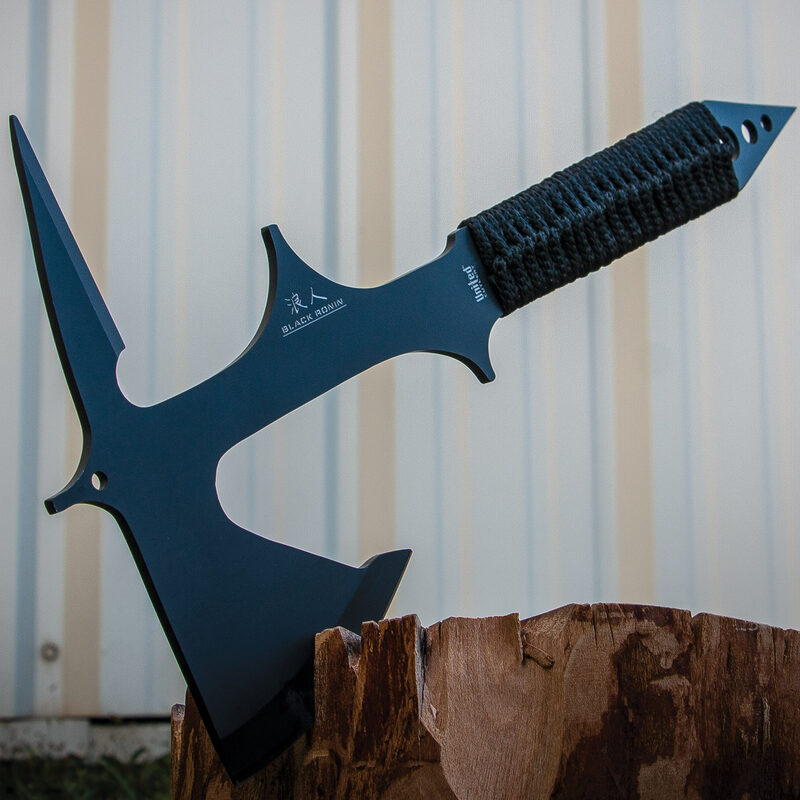 This tomahawk is great. It throws very well. It is a balanced thrower that does not spin fast by itself . . Sothe spin is determined by the torque and flick of your wrist. 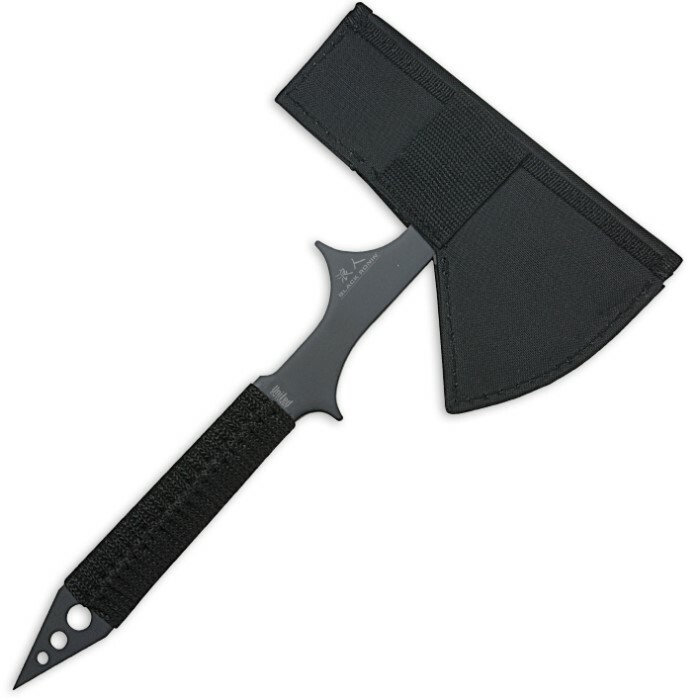 The cord was cheap but the tomahawk is only 17$! I wrapped mine with some duct trade and it feels better. Also I've had mine for like three years and chopped, thrown, hit rocks, and strait out beat the crap out of it. So after like two years or so I was throwing pretty dang hard and I stuck it wrong the spike snapped. But it still throws great. 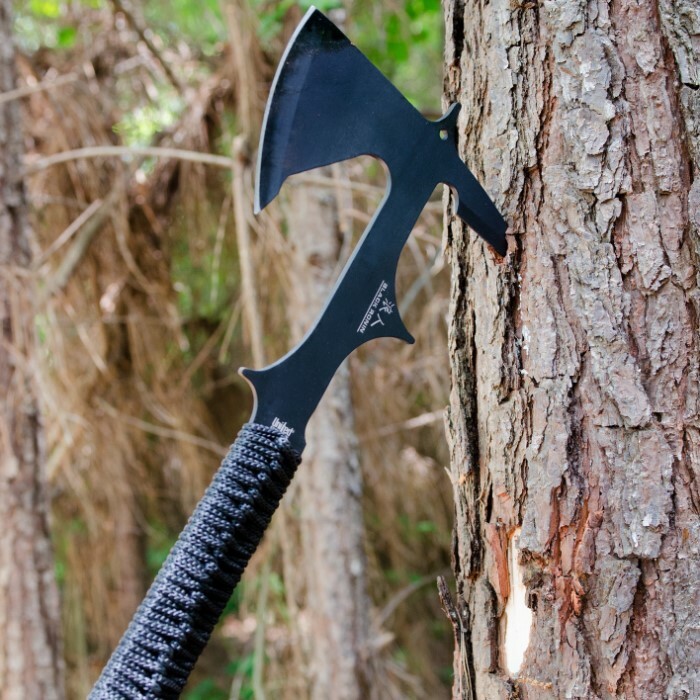 TO SUM UP: life's short, buy the freakin tomahawk!! MERICA that's why! It is a good Tomahawk for the money. It throw pretty good the rap that come on the handle is pretty cheap but for the money it ant bad. It's a lot of fun.